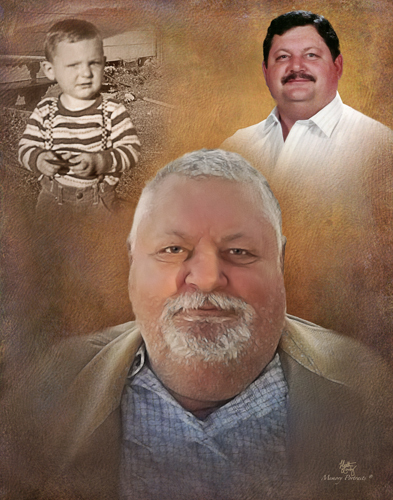 Obituary for Robert Daniel Hall, Jr. | Rushing-Estes-Knowles Mortuary, Inc.
Robert Daniel Hall, Jr., “Bobby”, a longtime resident of Uvalde, passed away Monday, April 1, 2019, at Methodist Hospital, San Antonio, at the age of 63. He was born September 12, 1955, in Uvalde, Texas, to Joyce Dobbs Hall and Robert Daniel Hall, Sr. Having met on a blind date, Bobby married his wife, Lynn Tucker, on February 25, 1984. Having lived in Uvalde most of his life, his family stated that his friends were numerous. His witty sense of humor and determination to ‘get things done’ are cherished traits. East Texas family trips included Aunt Janie’s sing-a-longs, chopping firewood and exploring in the piney woods with his sister. Many of his lifelong friends remember his GTO muscle car which made fame in the area and his role as guard “monster man” on the 1973 Uvalde High School State Championship football team. His work in land clearing began at the age of 9 while holding the brakes on his father’s D8 caterpillar. After his college years at Southwest Texas Junior College and the University of Texas, he worked for his father’s company, York & Hall Contractors, until his father’s death. Bobby and his wife, Lynn, then opened their own land clearing business, R. D. Hall Construction. They loved to travel in their motorhome and soak up the beauties of America. His love for nature could be seen all around his home. Feeding the deer, watching birds and ducks by his pond, and BBQs outside with his grandchildren brought him much joy as well as taking rides with his mother to count hawks and Mexican eagles. Bobby is survived by his wife of 35 years, Lynn Hall, mother, Joyce Hall Allison, father and mother-in-law, Pete and Billie Gonzalez, all of Uvalde, son, Bobby W. Hall of Belfair, Washington, son, Michael A. Moore and wife Jennifer of Enid, Oklahoma, sister, Diana Bonnet and husband, Mark, of Uvalde, brother, James and wife, LeighAnn, of San Antonio, sister-in-law, Suzette Gilbert of Uvalde, brother-in-law, Charles Tucker of San Antonio, brother-in-law, Tony Gonzalez of Uvalde, brother-in-law, James Gonzalez and wife, Christi, of San Antonio, grandchildren Tanner Hall, Dalton Hall, Bradley Henderson, Matthew Moore, Cole Moore, Canyon Hardzog, Creed Hardzog and numerous nieces and nephews. He was preceded in death by his father, Robert D. Hall, Sr. and grandparents, Preston and Lillie Mae Dobbs, and Bro. J. A. and Ida Hall. Visitation will be Friday, April 5, at Rushing-Estes Knowles Funeral Home from 6:00-8:00 PM. A funeral service will be held Saturday, April 6, at 2:30 PM, at First Baptist Church, Uvalde. Interment will follow at Hillcrest Cemetery. Pallbearers will be Travis Hall, Jason Hall, Travis Williams, R. J. McClure, Raleigh McClure, Ronny Speer, Manza Hale and Happy Schawe. Memorials may be made to First Baptist Church, 220 N. High, Uvalde, Texas, 78801, Masonic Lodge Scholarship Fund, PO Box 85, Uvalde, Texas, 78802 or a charity of your choice.